At a certain point in your life, you begin to avoid the mirror. Even a quick glance reminds you of a “problem” on your face or neck that needs to be addressed…someday. Procrastination and denial seem to blend together in your mind, then run and hide beneath saggy jowl, unsightly blotches or those crinkly eyes. That’s the moment you take your finger off the pause button. You’ve been “dodge-balling” the issue, but today, everything changes. Since you’re with Dr. Dobleman anyway, it’s a great time to finally choose attraction over aversion. Dr. Dobleman is a fellow in the American Academy of Facial Plastic and Reconstructive Surgery. His credentials and training are impeccable. Your anesthesia is administered at the Omaha Surgical Specialty Center by a board-certified anesthesiologist MD, although many of these procedures can be done in the office under local anesthetic. 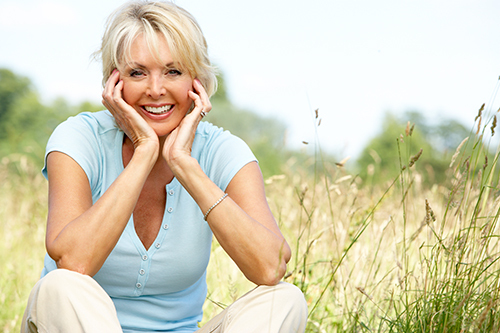 Dr. Dobleman is a reliable cosmetic surgeon with a precise, artistic perspective. When he blends his scientific insight with a desire to celebrate and optimize every feature on your face or neck, you’ll enjoy a surge of fresh confidence. Apex Intense Pulsed Light: Look years younger! The Dobleman team removes unsightly blotches, hair and age spots using “fast-and-clean” pulsing light technology. No more judgments about your imperfections. And no more procrastinating! Intense Pulsed Light (IPL) from Apex can eliminate vascular and pigmented lesions, unwanted hair and acne. In the hands of the well trained Dobleman staff, the pulsing light technology improves your appearance dramatically by revitalizing your skin! As we age, we sometimes accumulate “lesions” on our skin, which are a superficial growth or patch of the skin that does not resemble the area surrounding it. Lesions can be caused by infection or environmental elements; they may have been present from an early age, but have changed over time in color, texture or size. Your skin lesion may be hollow, crusted area on your epidermis or a discolored, fibrous tissue that has, over time, permanently replaced your normal skin. Perhaps you have prominent moles or an aggravated acne condition that has resisted standard treatment. At any rate, you no longer have to tolerate the discoloration or unsightly marks. The Dobleman solution utilizes an intense, pulsing light, an easily-customized technology that has been proven safe and effective for thousands. Your skin cells respond to a specific wavelength of pulsing white light that is filtered by color to maximize the rejuvenating effect on your skin. This powerful technology produces a beam of light that destroys the blood vessels that support the lesion and the lesion itself. The customized filtering of particular wavelengths of light is the key to success? Shorter wavelengths of intense, pulsing light are effective with superficial skin lesions. The wavelength filtering technology can be modified to avoid impacting the area beneath the lesion. This customization capability allows Dr. Dobleman and his staff to provide a treatment strategy that precisely matches the depth and severity of your skin problem. It’s part of the Dobleman Difference! 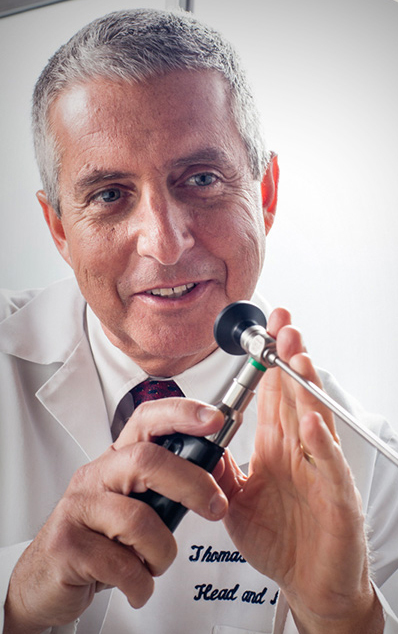 PROPEL stent implant helps ease sinus surgery recovery. Symptoms for sinus and allergy issues may be different than those of adults. We’ll diagnose and get your child healthy again. Treating uncommon head, neck and throat cancers requires the utmost attention from a specialist like Dr. Dobleman who has been a leader in HNT cancer research. Erase wrinkles and blemishes and regain your confidence with a cosmetic treatment from an experienced, cutting edge physician. © 2018 Ear, Nose & Throat – Head and Neck Surgery, P.C. All rights reserved.